I created this deck of 48 inspirational cards to bring you peace, connection, and clarity. Each card consists of a hand-painted Spirit Cat printed on one side and a unique healing message on the other. These Spirit Cats come straight from my heart and imagination. Ask a question like: What energy will support me today? What energy will help me start writing my novel or living my dream? What energy will bring healing to my relationship? What will help me feel happier right now? What is the message for today? What will help me get through this challenging time? Or anything you can dream up. 4.Keep the card with you for the day, put it where you will see it often, or simply put it back in the deck and carry it in your thoughts. There is no wrong way to do this. "My Spirit Cat deck arrived yesterday and I was astounded at how beautiful it really is. Seeing it in person, from the box design to the cards and the messages, it is just fantastic with such lovely energies imbued in it. Deck Review on Benebell Wen's esteemed tarot blog: " Spirit Cats is fun, inspirational, but also substantive, and when I sat down and read the cards one after the other, I also realized there’s a lot of wisdom to be reaped from these cards." Interview with me by Worthy Tarot: I share how where I am from affects my creations, my inspirations, and what specific energies are channeled in my deck. Spirit Cats spotted in the Nov./Dec. 2017 issue of Catster Magazine!!! Interview with me on Jessica Swifts's blog: We chat about favorite art supplies, my winding artistic journey, where the Spirit Cats came from and visions for the future. Video Interview with me on Jennifer Lee's blog: We chat about all the things I did before I launched the deck, why I choose Kickstarter, what my intentions are for the Spirit Cats and more. Spirit Cats spotted in the March/April 2018 issue of Spirituality & Health magazine in the "Moment for Paws" feature. 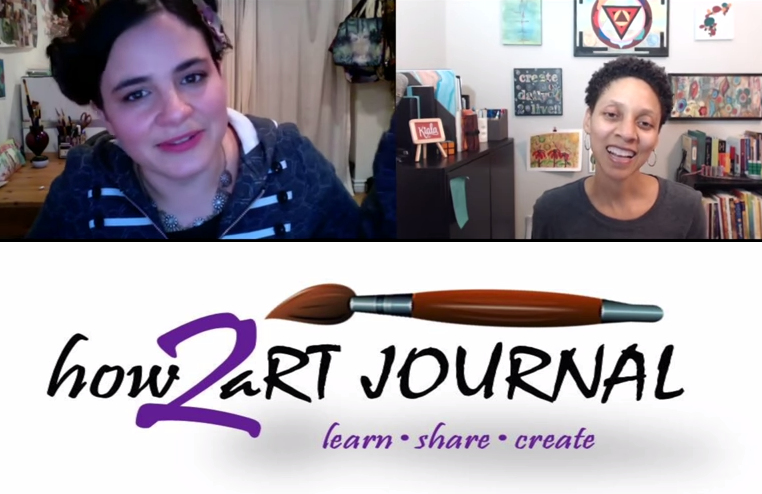 Video Interview with me on Kiala Givehand's "How 2 Art Journal" YouTube channel: We chat about the creation of the Spirit Cats and the deck as well as living a creative life, quieting the inner critic, and the importance of seeing art as an adventure. 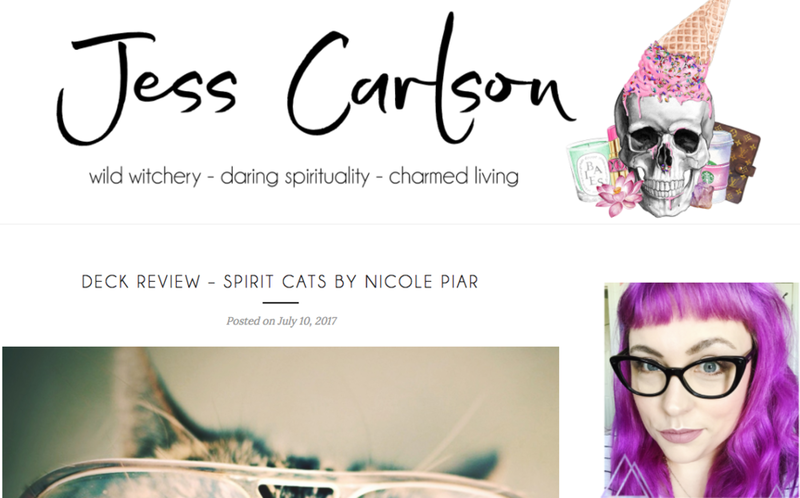 Interview with me and a deck review by Jess Carlson: I share about intuition, why cats, and my spiritual path. Guest Blog post written by me on Little Red Tarot blog: This is where the entire magical story unfolds of how these Spirit Cats came into my life and now into yours. Audio Interview with me on the "Creative Living With Jamie" Podcast: We talk about Spirit Cats and the magic of creativity as well as the struggles to bring an idea to life. We discuss the overall energy of my deck, which Spirit Cats represent me, art-making mediums and process and future projects.